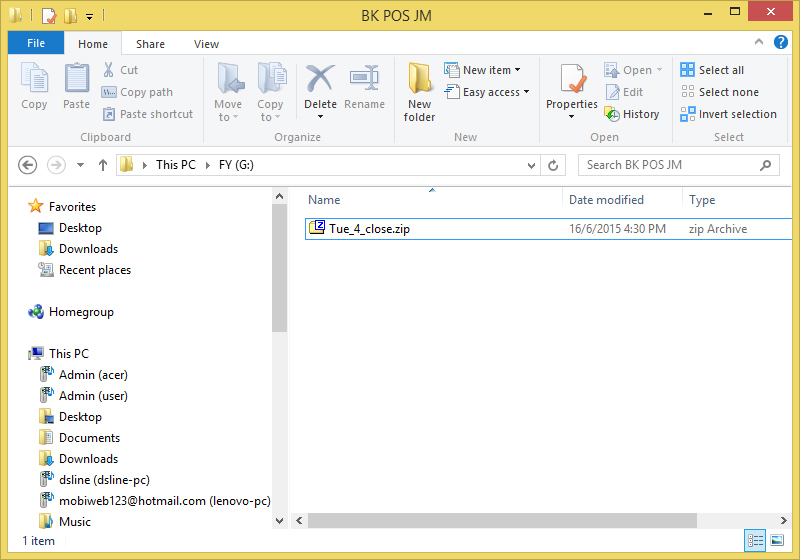 Note: This additional backup function is only available after customers subscribe the additional backup license key. 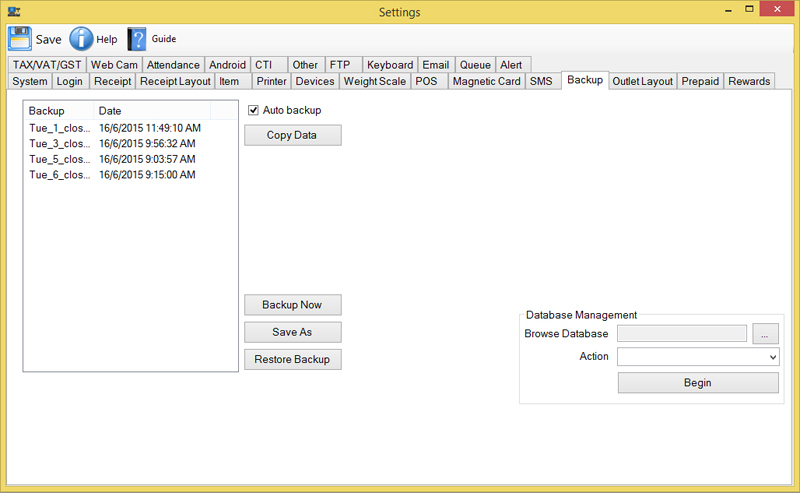 In order to use this Additional Backup function, an 8GB USB Flash Drive is recommended as the external backup drive. 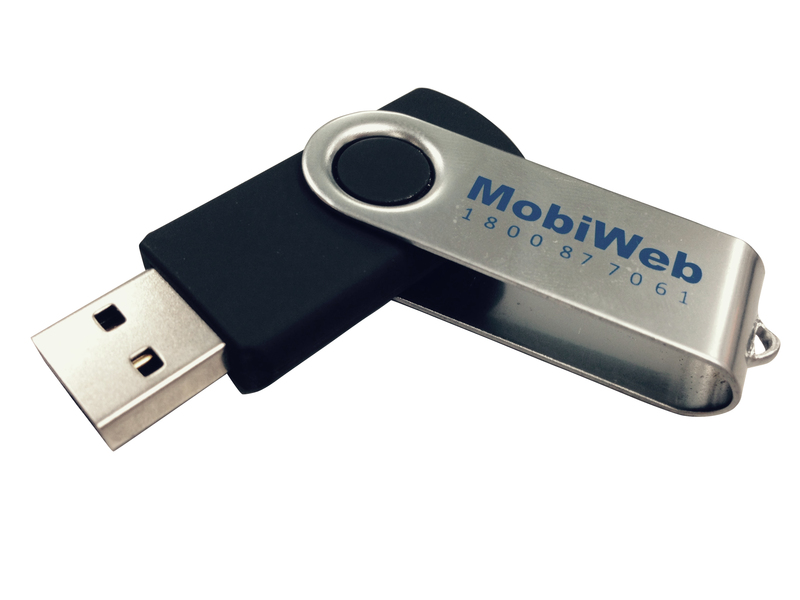 The thumbdrive will be provided when you subscribe the Additional Backup function. 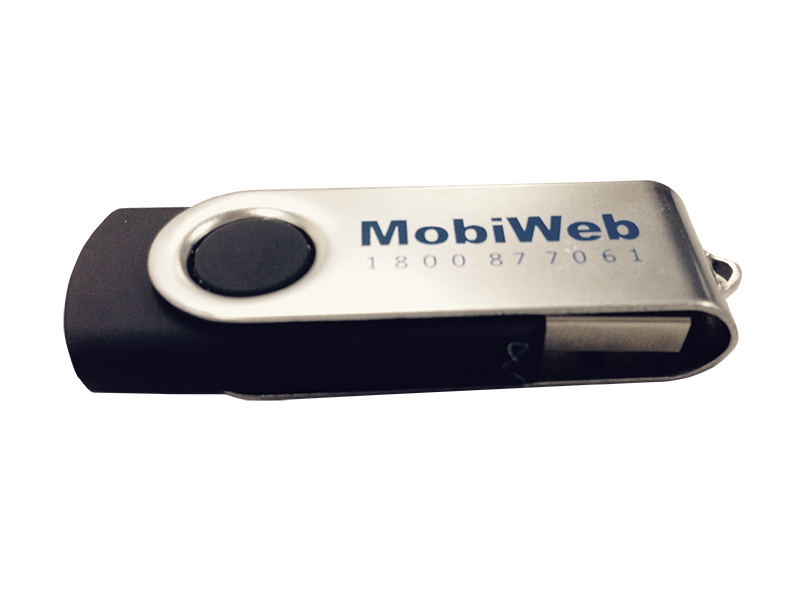 Our 8GB Mobiweb flash drive is for sale on its own at SGD6. You may click on our Product Catalog to view more. If you have further questions about POS Additional Backup Function, please feel free to contact us here or get us directly on the line by dialing +603-79801388 (KL) / +604-6420621 (PG) / +6014 6028442 (KK Leong). Our POS System Team will be happy to assist you. Step 2 Click “X” on the right corner to go back to POS Client Login Interface. Click on “Activated” button. You will see your Serial Number. 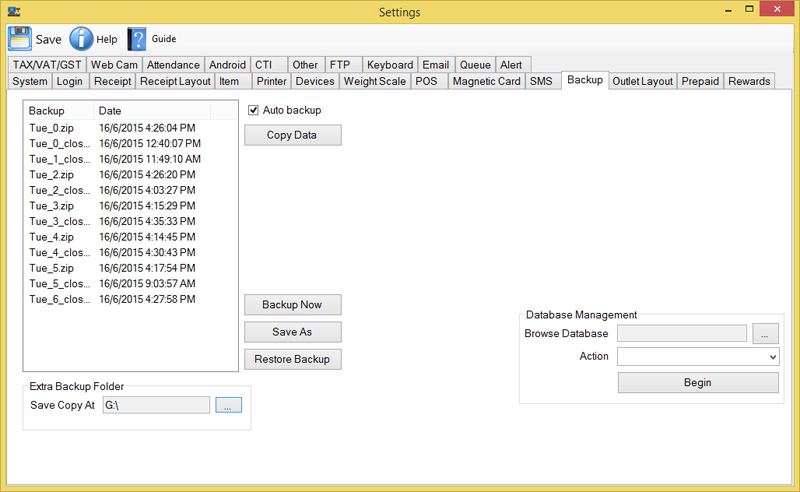 Send us this serial number so that we are able to activate this additional backup function for you. Refer to “Activation Number” screenshot. Step 3 We will inform you when the Serial Number has been activated. Step 4 Go back to the “Backup” Tab. 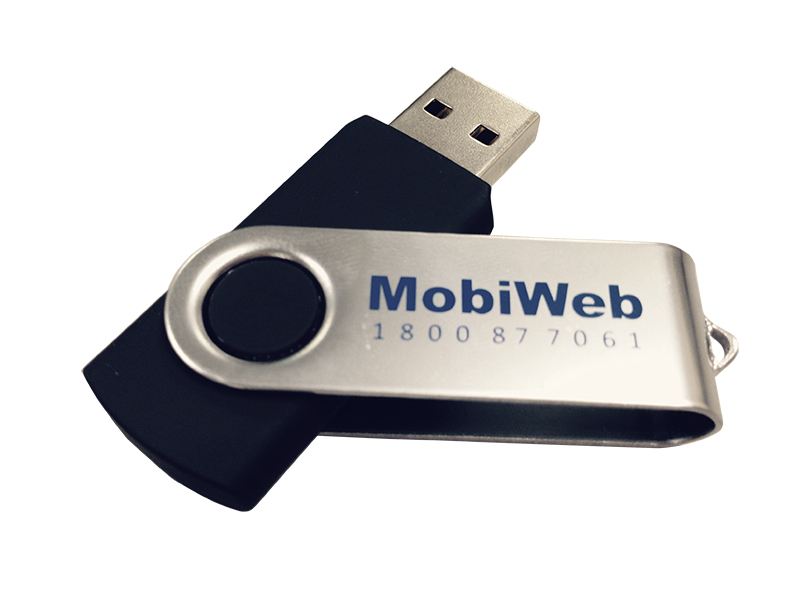 Connect our Mobiweb 8GB Flash Drive to your computer. Step 5 Click on the button (highlighted in blue) under “Extra Backup Folder” and select the port connected with the Mobiweb 8GB Flash Drive. 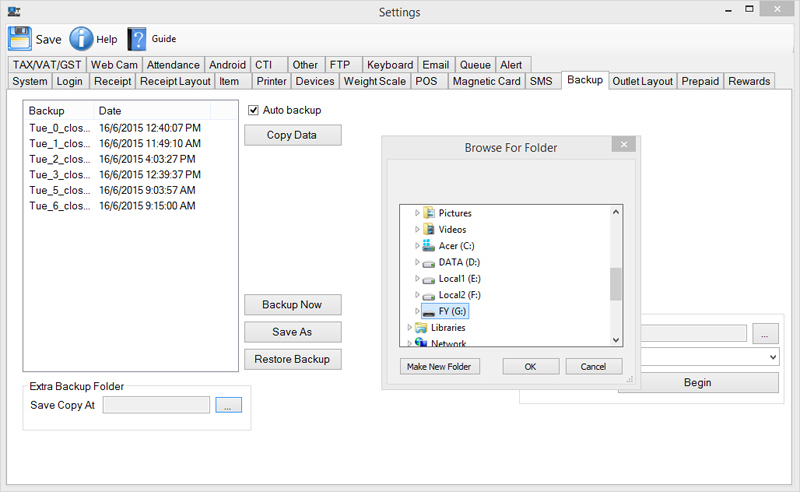 Refer to “Select Backup Folder” screenshot. NOTE: Please send/fax the Transaction Receipt with your name, contact number & state “Att: POS Market”.